When this question is asked, most Americans may not really be that concerned as to why they should purchase American made products. Americans, specifically middle class Americans, should definitely be concerned with the buy American issue. Why? Because they are the ones being most affected, whether they know it or not. For example, on the way to work one might complain about how his or her salary is decreasing while at the same time wearing an imported outfit and driving a foreign car. Yet, as the economy shifts into a recession and globalization increases, more and more Americans are becoming educated as to why this is happening and the importance of buying American. Why the push to buy American now? The reason being that drastic numbers of Americans are losing their jobs or taking pay cuts due to the negative effects of deindustrialization. 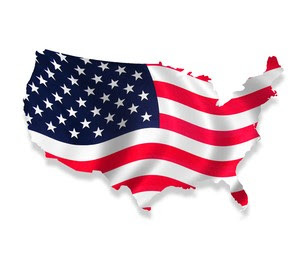 One solution, Americans should buy American made products. This is true because once Americans start buying more American goods the demand for them will increase. As a result of the rising demand, more factories or plants will be developed. Many good job opportunities will then be available. Not only will the manufacturers benefit, openings in higher paying fields will increase. Hence, when all this is put into action many Americans will be on better economic standing. That means they will once again have high buying power. Rising profits for American base business and their employees will take place. All of this combined will keep the U.S economy and its citizens financially healthy. Sounds good right? But in order to achieve this, all Americans must be properly informed by the government, as to why they should buy American. So what's the government doing? One example of government support of the 'Buy American' phenomenon plays into the recently developed American Recovery and Reinvestment Act of 2009, abbreviated ARRA and commonly referred to as the Stimulus or The Recovery Act. The ARRA is an economic stimulus package enacted by the 111th United States Congress in February 2009. The stimulus was intended to create jobs and promote investment and consumer spending during the recession. The rationale for the stimulus comes out of the Keynesian economic tradition that argues that government spending should be used to cover the output gap created by the drop in consumer spending during a recession. Additionally, the ARRA provides billions of dollars to strengthen education through the State Fiscal Stabilization Fund (SFSF); Title I, Part A of the Elementary and Secondary Education Act (ESEA); Part B of the Individuals with Disabilities Education Act (IDEA); Pell Grants; Federal Work-Study; and other programs. It also provides support for adults with disabilities through the Vocational Rehabilitation State Grants program and the Independent Living programs authorized under the Rehabilitation Act. Included in the ARRA is the Buy American provision (Section 1605), which is intended to encourage the ARRA funds be spent on American products. Click here to view downloadable documents outlining available ARRA funding for each state. 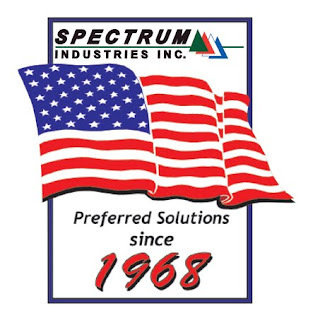 *Spectrum Industries Inc., is a manufacturer of products made in the USA.